"Fr. 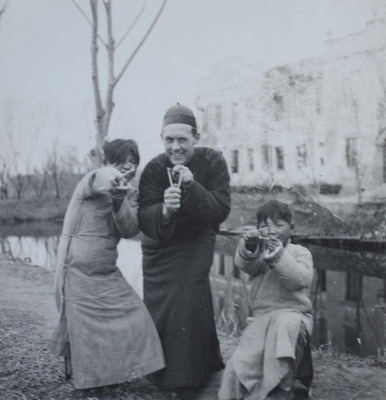 Charles Meeus and children with slingshots"
Fr. Charles Meeus and children with slingshots. Fr. Charles Meeus and children with slingshots. 1935. Société des Auxiliaires des Missions (SAM) China Photograph Collection, Whitworth University Library, Spokane.